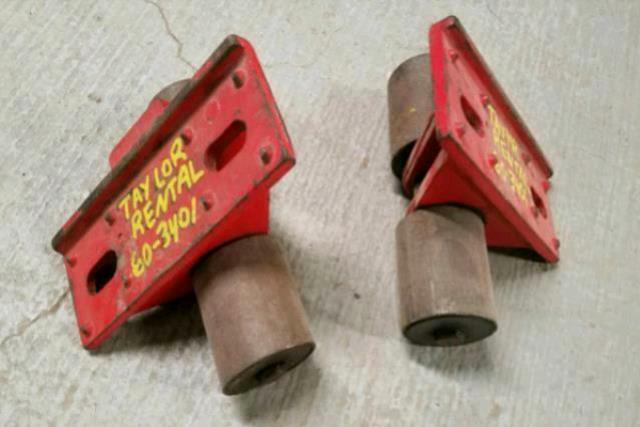 Our steel pair of rollers weigh 15lbs each with dimensions 8" x 8" x 3 3/4" H. It has a roll-on diameter or 2 3/4". The cleat plate with slide lip dimensions are 3" x 8". Has a 6000 lb capacity each. Place under heavy items for ease of moving. Do not exceed 6000 lbs and do not use on soft surfaces.